We inspire and enable youth of all backgrounds and abilities to discover their spark, value the natural world, and become tomorrow’s leaders, today. Camp Fire Central Puget Sound ignites a passion for nature, a commitment to service and a drive to succeed in 8,000 children and teens every year. 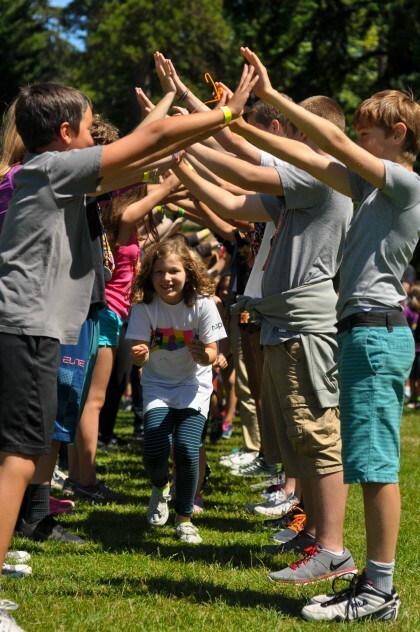 Since 1915, kids have relied on Camp Fire for fun and educational experiences that develop their confidence, academic success, leadership and social skills. With the support of our community, we build tomorrow’s leaders today. We are very proud to be a welcoming place for all kids to come together to learn, play and grow into confident and caring members of society. We have a small but extremely dedicated full-time staff of 14, a seasonal staff size of 100 and more than 1,000 volunteers that deliver our programs. We believe that all kids, regardless of their financial situation, deserve to experience the magic of Camp Fire. We have a long history of providing financial assistance to campers in need and also offer tiered pricing for many of our programs. Financial aid is limited, however so please be sure and apply early. We are grateful to our generous donors who make this possible! Camp Fire Central Puget Sound is one of 60 Camp Fire Councils nationwide. Our National Headquarters is located in Kansas City, MO and supports us with program resources and research. However, our council functions as an autonomous entity governed by our own separate board of directors.